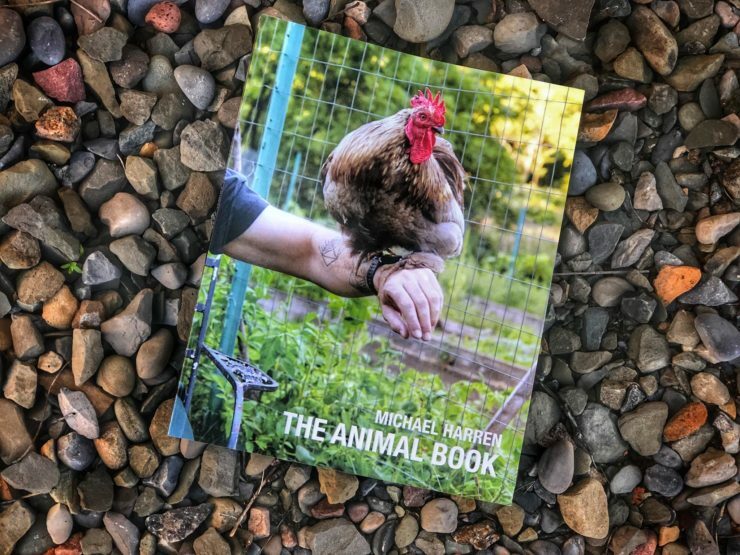 I am so incredibly excited to share that The Animal Album and The Animal Book are available NOW! There are lots of places you can find both of these things so here’s a handy dandy link to find the album, and a handy dandy link to find the book. I am happy for you to purchase, stream, or order the physical book from any of these places, but especially grateful if you order from my Bandcamp page where you get a free album download with book purchase and I can even sign your book if you like! When I started this project way back in 2015, I had no idea what it would turn into. I just wanted to start creating experiences with rescued animals that I would turn into some kind of show. I am blown away both by the success of the show, and the many ways this project has changed my life. I think more deeply about animals and art, and it allowed me to embark on my first evert tour performing my own work. I have grown so much as an artist, and an activist, and a human being over these last few years. I feel like I don’t even recognize myself, and am so proud of this work. That’s why I am especially proud to release this book and album. The book project is the brainchild of my good friend and collaborator, luke kurtis of bd-studios.com, and such a beautiful documentation of my path with the show, and, of course, the show itself. I must also acknowledge here, too, the financial support of A Well Fed World in various phases of this project, including the tour, the creation of the album, and even the creation of the show itself. I am so incredibly grateful for their belief in me and this project. So enjoy this new work, and as always, if you like what I am doing tell a friend, post on your socials, and all those other things. For those of you who have been missing it, my podcast will be back on schedule starting in July. Finally, if you’d like a deeper connection with my work, and the opportunity to co-create it with me, consider becoming a member of my Patreon community. The memberships of the ~140 people on Patreon make it possible for this indie artist to continue making work, and in exchange, get a inside look at the process and lots of special perks like free downloads, bonus podcast content, merch discounts, and so much more. Find out more here.